December’s theme is Holidays. Each blogger chooses their own craft to make as long as it shines and is holiday themed. If you’d like to participate next month, you can request to join our Bling on the Crafts Facebook group. So, I may have gone mad, but I think I joined ALL.THE.BLOG.HOPS! 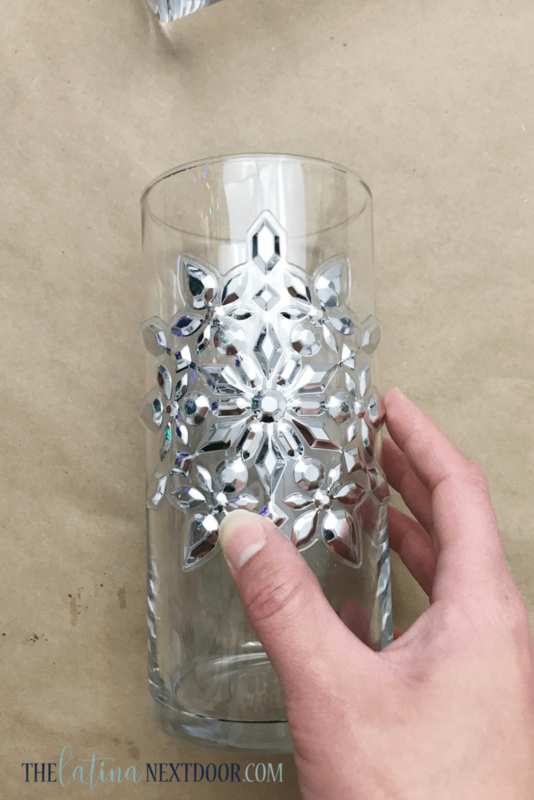 Here I am with another Dollar Tree craft (you may recall this one) and this one is super sparkly and rather elegant I might add… plus it’s SUPER simple to make! We are making candleholders that are so chic and elegant, your guests won’t believe it. Simply remove the wall decor and place on the vase. 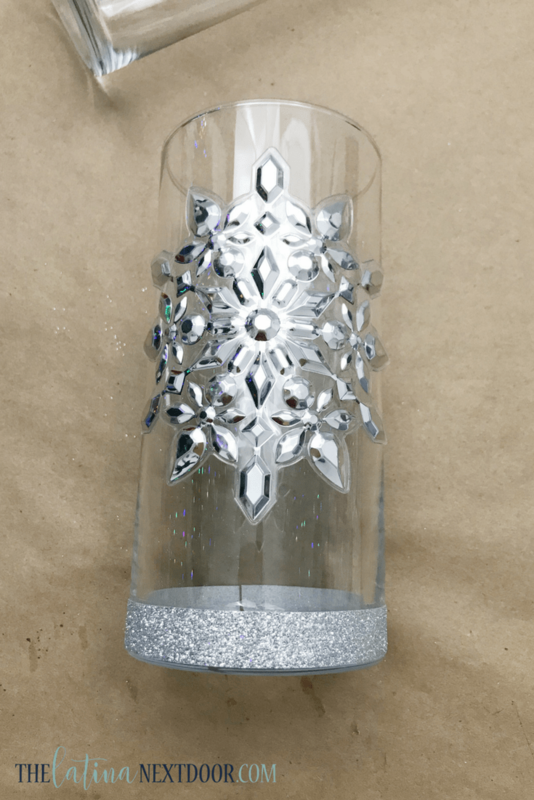 Add glittery ribbon at the bottom of the vase. 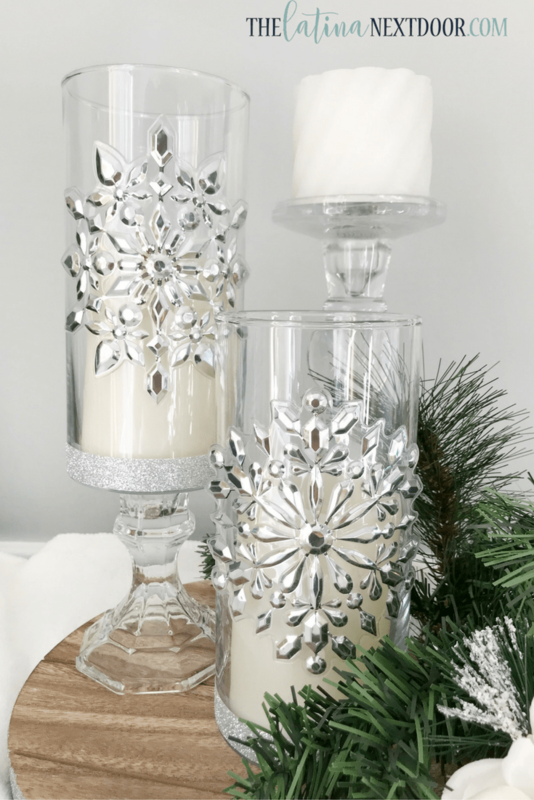 You can leave them like this or you can add height to them by gluing another candleholder (this one also from Dollar Tree) to the bottom (if you choose to do this, use E6000 as it has a strong hold). Then just add your candles! The best part about these is that they aren’t permanent, you can totally change these up for any occasion! 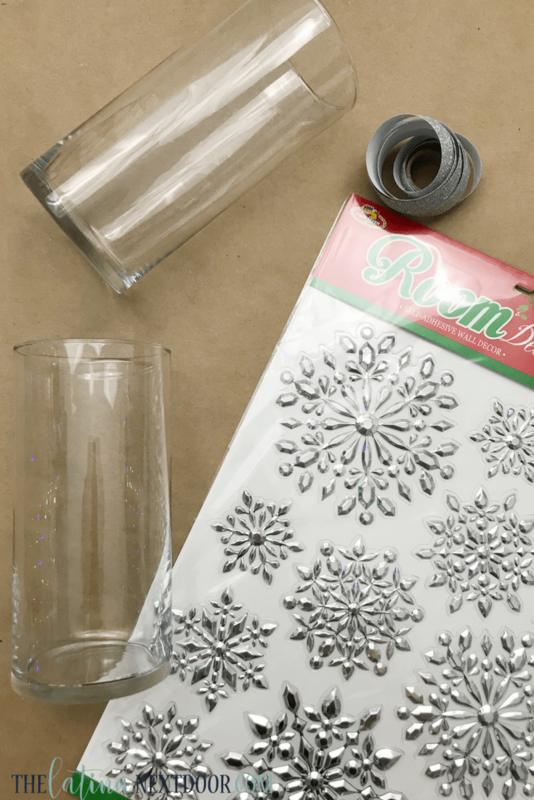 I also decorated a glass ornament for my DIY Dollar Tree neutral wreath using this method as well. You can see how it turned out here! Are you ready to see all of the sparkly crafts our bloggers have made for this month’s #BlingontheCrafts hop!? 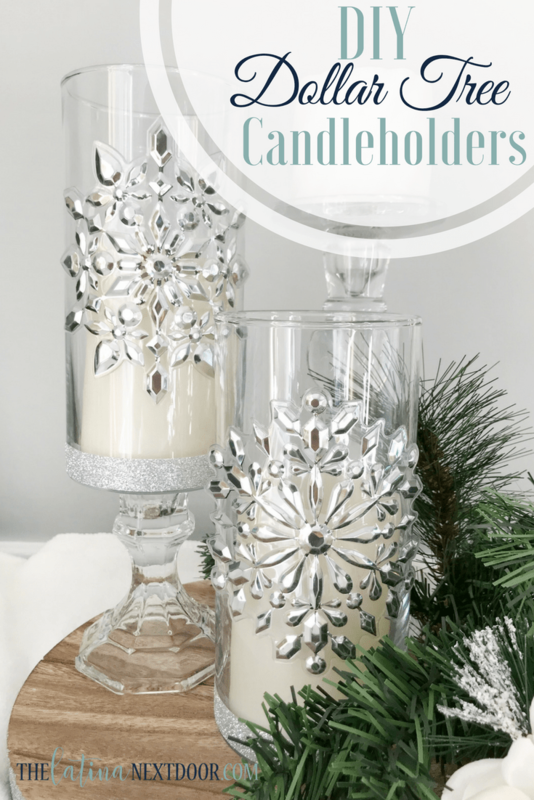 Filed Under: Blogger Collaborations, Crafts for the Home, For the Holidays! So simple, but looks so fancy! YAY! That’s totally what I was going for! I love how they turned out! They are very elegant indeed. Thanks so much Habiba! I was surprised myself and I cannot wait to try other looks. They are gorgeous and look so expensive! Thank you Shirley! I was definitely going for expensive. I am so glad I was able to pull it off. Yay! Good morning, will the candles burn ok in the glass? or will they turn black while the candle is burning? Hi Taylor! I actually use LED candles for them and haven’t actually burned any real ones. I have 3 small kids so I burn candles minimally at home. I would imagine it would get black if you used a real candle though. I purchased them last year at Hobby Lobby. They were on an end cap. I am not sure if they brought these back again, but I am sure they have other ones this year.